Considering I missed the number on the device, I would give myself a 5 out of 10. The real big news was the absence of an iPhone 5, really. The rest was kinda easy. If you live in Silicon Valley and you work in mobile, you have to play this game: what is Apple going to present tomorrow at their live event? I play it every year, sometimes twice in a single year. I win some, I lose some. Actually, even when I win, nobody gives me a prize, so it does not make any difference. Now, what about tomorrow, the launch of the iPhone 5? Actually, I do not think it is going to be pink. Just with a bigger screen and a great camera. The best screen out there. The best camera out there. Super light. Very fast. No frills and no teardrop design (this is my biggest bet, I do not believe a teardrop design would fit well in landscape mode, so I do not think they will go for it). I believe they will go nuts around voice recognition. 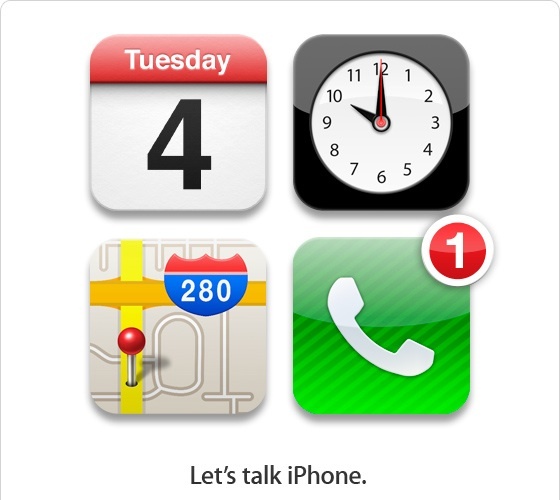 The event is called "Let's talk iPhone", so - in my opinion - the big message will be around voice recognition. They will sell it as the best thing that happen to a device after Star Trek (whatever that is, you know my love for sci-fi...). If you recall, Apple bought Siri over a year ago. I am expecting something spectacular, a lot better than what I have today with Google (which is already pretty good, even with my accent). I am expecting you could just look at the new iPhone, talk and it will do pretty much everything you want. Speaking with your normal voice, giving commands with casual sentences and creating a wow effect in the audience (BTW, Windows Mobile is built on a very powerful voice technology but nobody gives a damn, because it is Microsoft. We are talking Apple here, so it will be the best thing after the invention of the wheel). What else? I think they will have an iPhone 4 or 4S, a low-end phone. 8GB, cramped down features, old look&feel. Perfect for emerging markets (finally entering India) and the low-end of the market in many places. It is not much a tool to attack the Android market, but more to defend and make sure Android does not take the entire bottom part of the pie: those who will buy a low-end Android now, will end up buying an high-end Android later. Apple needs to make sure they get on the iOS bandwagon instead, to move them up the chain later (to a powerful iPhone, iPad, AppleTV and a Mac). Lastly, the cloud will be all over the place. It is the official launch of iCloud and they will make sure everyone understands why it is going to change everything we do. Here you have it. My predictions. One last thing: I do not think Steve Jobs will show up.